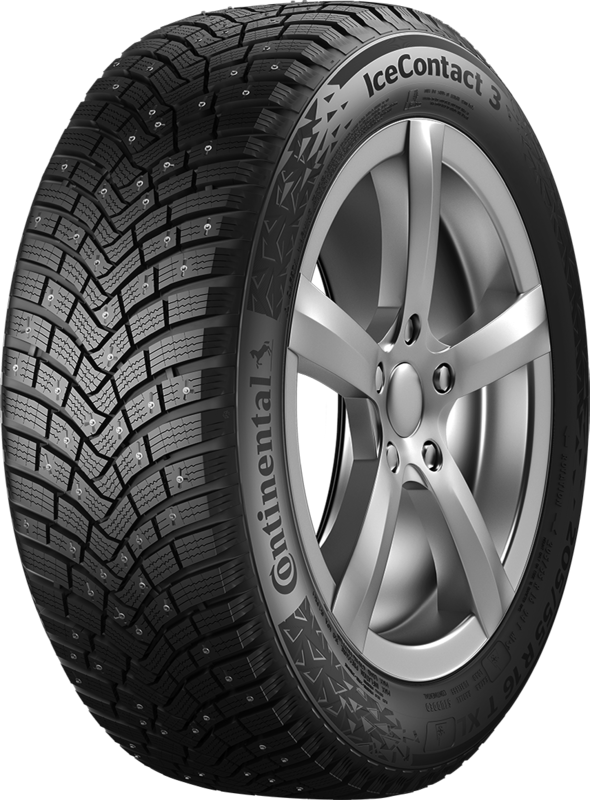 With the IceContact 3, Continental has added a new studded tire to its portfolio for use in Scandinavia and Northeastern Europe. The tire manufacturer has introduced a new stud technology called “TwinStud” which represents substantial progress in terms of the active safety of studded winter tires. Compared to the tried and tested predecessor model, this leads to a nine percent improvement in dry handling and a seven percent reduction in susceptibility to aquaplaning. Grip on icy roads also shows a three percent improvement. By vulcanizing the studs into the tires at the production stage Continental has now virtually excluded any subsequent stud loss. At start of production, Continental plans to manufacture 77 variants for rims of between 14 and 21 inches, including some with SSR runflat properties and with ContiSilent and ContiSeal technology. The new tire represents substantial progress for the tire industry and the key lies in a combination of innovative stud technology, a rubber compound specially adapted to the very low winter temperatures in high northern latitudes, and a specially developed directional tread. With the new “TwinStud” concept, the tire engineers at Continental have combined two different shapes of stud in one tire. The studs are distributed over the tread in line with a computer algorithm. With the vehicle in motion, one of the “twins” is designed to deliver grip particularly during acceleration and braking, while the other delivers high grip on cornering. This makes for shorter braking distances and also for more precise handling during sudden evasive action. The tire developers have adapted the rubber compound in the IceContact 3 to suit the needs of studded tires, not least by adding rapeseed oil to the mix. As a result, the IceContact 3 can build up high levels of grip on snow and slush, too. Wide tread grooves between the blocks of the directional tread are quick to take up slush and water and disperse it to the sides, maintaining a broad contact patch between tire and road. On top of this, the development engineers have included additional lateral edges between the tread elements that improve handling on snow-covered roads without impacting on the remaining winter handling properties.